Brand: Chicago Metallic AM-77122 Units: 1 pan / 13 pcs. 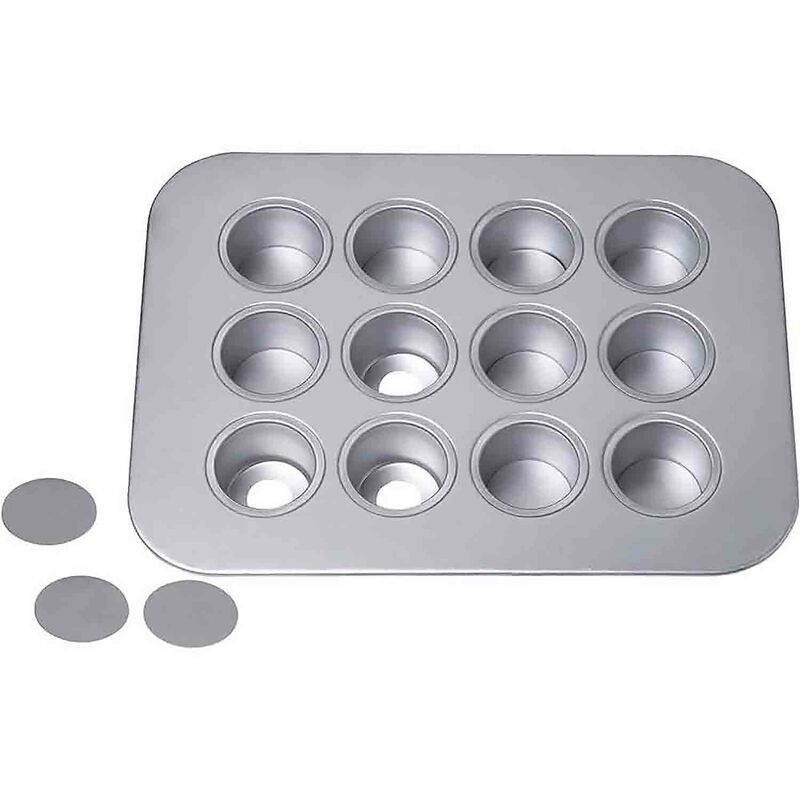 total This 12 cavity mini cheesecake pan features easy to use lift and serve removable bottom disks. Perfect for making individual servings. Pan is dishwasher safe. Each cavity is 2" wide and 1 1/2" deep. This 12 cavity mini cheesecake pan features easy to use lift and serve removable bottom disks. Perfect for making individual servings. Pan is dishwasher safe. Each cavity is 2" wide and 1 1/2" deep.